But... but... I AM a chicken! I have a very large Steam wishlist. In fact, it's now at a whopping 817 games (help me)! So whenever games go on sale, especially cheaper ones, it's way too tempting to grab the deal, and this was definitely the case for ADventure Lib which was on sale for just one measly dollar. So why was ADventure Lib on my wishlist? In a word, "nostalgia", but it's all thanks to a certain game that used to be bundled with Microsoft Encarta called "MindMaze". Wait, you don't know what Microsoft Encarta is/was? Well, back in the days when the Internet was in its infancy and before Wikipedia (2001), people used to either own encyclopaedias in book form (which took a lot of space on your bookshelf) or they got these new "multimedia" encyclopaedias in CD format, one of them being Microsoft Encarta which was introduced in 1993. Besides offering encyclopaedic content in an interactive format, Microsoft Encarta also had a trivia game you could play called MindMaze. As a reward for completing a level, you'd be given the opportunity to play a word substitution game where you could enter words that would substitute more appropriate words to create a rather silly story. Pretty simple concept right? And yet, I have fond memories of the game. It's only until after playing this game that I found out that there was a special name for this kind of game, at least in the United States. Apparently a couple of chaps came up with the "Mad Libs" concept which was a "phrasal template word game" and has sold more than 110 million copies since the series was first published in 1958 (thanks Wikipedia! ); there's a good chance that this is where ADventure Lib gets its name from. The voice acting is silly. Your inventory items are silly. The actors are silly. Everything is silly! If you like surrealist, absurdist or Pythonesque humour, this is your sort of game. 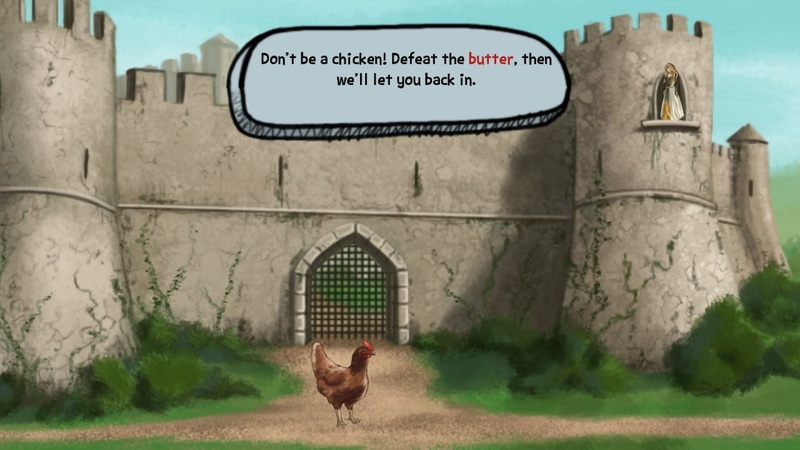 It's a game where a chicken can be the hero, a fire-breathing butter can be a fearsome monster and where "no adventurer is ready to face the unknown without a handy Elizabeth". As mentioned already I managed to get the game for a dollar. It's normal price of $2 USD is still pretty damn cheap. 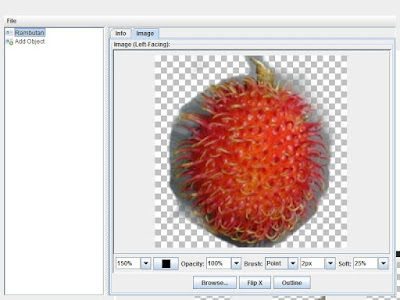 One of my favourite features is the ability to easily add new items for use in the game for download on the Steam Workshop and I believe the modding scene will be critical to the game's longevity. 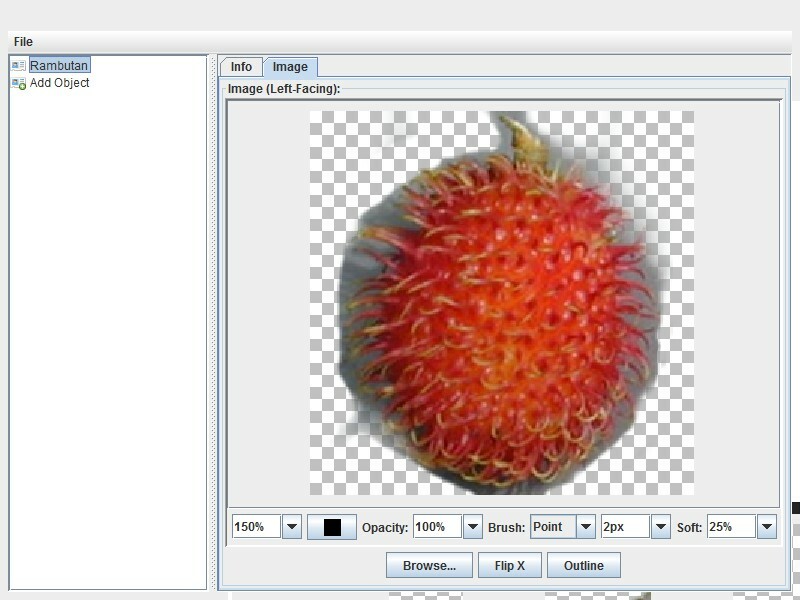 The tool is quite easy to use and I was able to create a rambutan (a red, hairy, tropical fruit) and have it uploaded to the Steam Workshop in very little time (about 30 minutes). The only drawback is that it's quite hard to test your item in the game since the game by it's very nature randomises the objects! It only takes half an hour to complete the game. Sure, you could play the game again and it'd be very unlikely you'd have the same actors and items as your previous playthrough, but it's essentially the same story. It would be nice if there were more adventures bundled in the game or the ability to create your own. Thankfully, the developer seems to be thinking the same thing and plans to introduce a new chapter plus the ability to create your own storylines in a future update! However this was mentioned quite awhile ago now and nothing has eventuated. Fingers crossed it is released later this year! If you enjoy absurdist, surrealist, Pythonesque humour or word substitution games like "mad libs", you'll find ADventure Lib to be a fun, albeit very short, adventure. If you don't, you'll probably feel like this is a waste of time and money, even though it only costs two bucks and takes half an hour to finish. If more work is done to make the game even more moddable though (as you can already create custom items for inclusion in the game quite easily), Fancy Fish Games could be on to something big. Is the game worth $1.99 USD? : Yes. Despite the game being really short, if you like "Mad Libs" style games, this is the only one you'll ever need considering it comes with a built-in object editor!